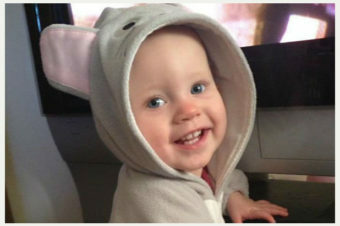 Washington, D.C. – A recently published article in the Journal of Pediatrics entitled, “Pediatric Injuries Related to Window Blind, Shades, and Cords” found 300 children younger than 6 years of age strangled to death in window blind cords from 1990 to 2015. During this same time frame, an estimated 2,000 children were treated for entanglement injuries caused by window cords. In some cases, the injuries suffered as a result of a blind cord tangling around the child’s neck were so severe that these children now require 24-hour daily nursing care. “Window covering deaths and injuries happen when parents cook dinner, fold laundry, aid other children or while parents think kids are asleep. 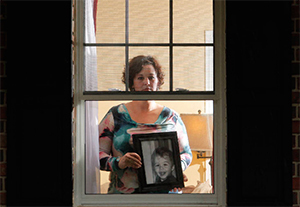 Designing the hazard out of products and changing the consumer’s mindset about window covering safety is the only way these deaths and injuries will end,” stated Linda Kaiser, President of Parents for Window Blind Safety. The Window Coverings Manufacturer’s Association has had a voluntary standard addressing window coverings since 1996. So why do these entanglement deaths and injuries keep happening? The main reason is that the voluntary standard allowed dangerous, accessible cords that can strangle infants and young children. “The voluntary standard for window coverings has failed for over two decades, to significantly reduce or eliminate the strangulation hazard posed by window coverings. 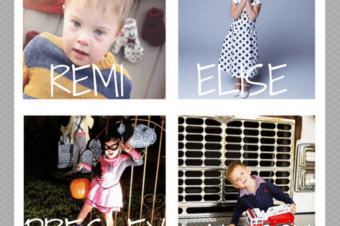 The AAP study confirms that too many children are being harmed by these cords,” stated Rachel Weintraub, Legislative Director and general counsel with Consumer Federation of America. 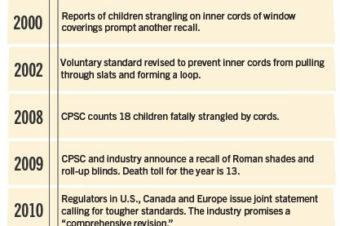 Due to the failure of the voluntary standard to address the strangulation hazard, Consumer Federation of America, Parents for Window Blinds and Safety and other groups petitioned the Consumer Product Safety Commission (CPSC) to issue an effective mandatory standard to address the risks that corded window coverings pose to children. In response, and after years of work by safety advocates and the CPSC, the Window Covering Manufacturer’s Association (WCMA) has agreed to revise its standard so that dangerous, accessible cords are no longer permitted on “stock” products. The standard still permits “custom” products (i.e., products manufactured after a consumer order) to be made with cords that can strangle children. According to WCMA, custom products account for 20% of the market. This percentage projection could increase depending on the consumer demand for cords. Consumers typically believe cords are safe as long as they are kept out of reach by wrapping around a cord “cleat” or putting up on top of the valence. While this may seem like a safe strategy, cases in the study reveal dozens of young children strangled in a cord that was believed to be placed out of reach but was accessed by children using various objects or avenues. Millions of window blinds with dangerous cords currently exist in consumers’ homes (and will likely remain for at least a decade or two until the blinds are replaced because in most cases, blinds with dangerous cords have not been recalled. Voluntary standards are not equivalent to mandatory standards. Voluntary standards are not enforceable by the CPSC and there are no requirements to test window coverings to ensure that they meet the voluntary standard before being put into the market. Enforcement of products sold online will be difficult and this means that on-line retailers may continue selling window coverings with dangerous cords. 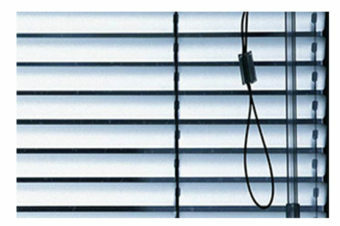 If corded products are less expensive than cordless, consumers who are unaware of the entanglement danger are likely to purchase the less expensive corded blinds. Window coverings purchased for large scale housing such as condos, apartment buildings can be ordered as “custom” products and skirt the voluntary standard’s cordless requirement which only applies to “stock” products. How Can I Identify Safe Window Coverings for My Family? Window coverings with no outer cords and tight inner cords. 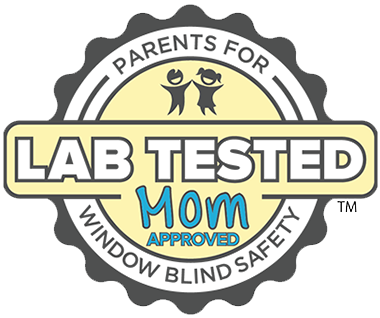 Products carrying the Parents for Window Blind Safety Seal of Approval which is awarded to cordless products that are Lab Tested, Mom Approved™. Carol Pollack Nelson, Ph.D. is a Human Factors Psychologist specializing in consumer product safety. She is an advisor to all stakeholders including manufacturers, retailers, test laboratories, government agencies, and consumer organizations. She previously served as an in-house expert for the U.S. Consumer Product Safety Commission in the Human Factors Division.